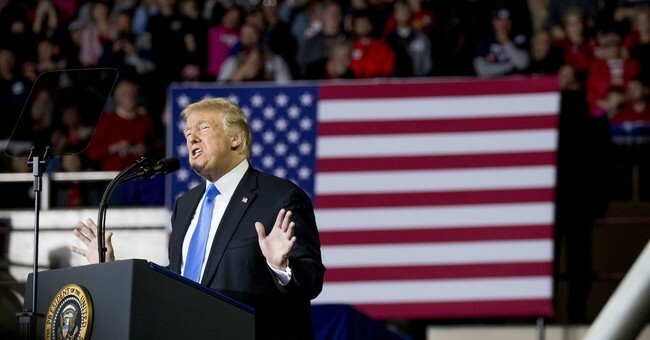 As we reported yesterday, on Friday night NBC News tweeted an out-of-context, selectively edited clip of President Donald J. Trump at a rally in Cincinnati, OH making what appeared to be complimentary remarks towards Confederate General Robert E. Lee. While the president did call Lee a "great" general, he was only doing so to boast of Ohio-native, General of the Union Army, and President Ulysses S. Grant's own military might in defeating Lee and the South. Regardless, despite the fact that literally thousands of Twitter users and dozens of articles pointed out their journalistic irresponsibility, NBC News waited until today to admit their "mistake." "CORRECTION: An earlier tweet misidentified the general President Trump described as "incredible" at a rally in Ohio. It was Gen. Ulysses S. Grant, not Gen. Robert E. Lee. An attached video clip lacked the full context for Trump's remark," NBC News' admission of guilt stated this afternoon. Spot the difference? As Twitter used Tyler Cantrell pointed out, it is these kinds of mainstream media actions which explain why so many Americans distrust the news business. Just watched the whole clip. NBC need must be having a slow day and decided to cut this clip short. He went onto talk about General Grant. I’m not a Trump fan, but this kind of action is why the public doesn’t trust the media. Think about that. Tyler Cantrell, a random Twitter user, was able to spot the error within minutes of watching the clip in full context. It took NBC News, an outlet part of a media conglomerate worth roughly $30 billion, nearly two days to tell its audience that they had delivered fake news. Why should Americans trust this network or any other mainstream media outlet? Thank God we have social media to point out their errors and hold them accountable.